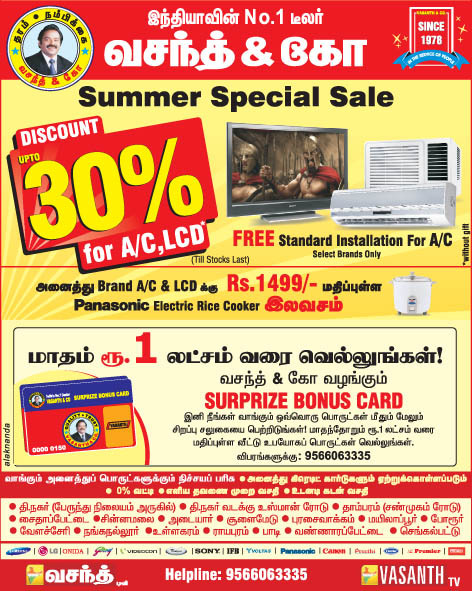 Discount upto 30% on A/C, LCD TVs (Selected models). Free installation for standard model ACs. Panasonic Electric rice cooker worth of Rs. 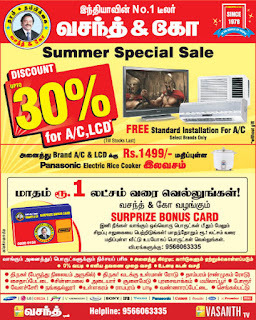 1499/- is free with all brand A/C and LCD.